Indulge in outdoor living with rustic decor accessories made of wrought iron from Woodland Creek’s! 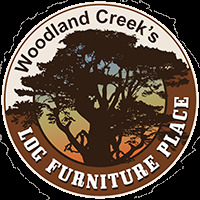 Woodland Creek’s offers the finest wood furniture for use outdoors, but we don’t stop there. We help you indulge in outdoor living with rustic decorating accessories for the lawn and garden, too. We offer mailbox accents made of wrought iron, customized house identification signs and more. If you love outdoor life, browse our big selection of outdoor country decorating accessories today! Do you fancy fleur-de-lis designs? Are you a garden “star”? 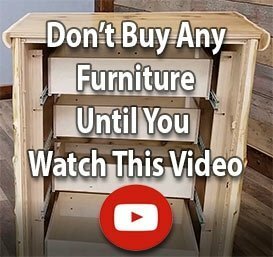 Or does your taste in rustic furniture and cabin decor accessories lean more toward the Victorian? Whatever your personality, Woodland Creek’s is sure to have a beautiful and affordable trellis that’s right for you. In addition, we offer a wide range of whimsical wrought iron garden stakes and snow fall gauges you won’t want to miss! Keep your garden organized – in high style – with wrought iron hose guides and hangers! Customers love the authentic, classic look and purposeful design of Woodland Creek’s log furniture, country furniture and reclaimed wood furniture. They love our lawn and garden wrought iron accessories for many of the same reasons: We help you keep your lawn, yard or garden organized with hose guides and hangers designed for those who love stylish cottage furniture and southwestern decor.